We know that training can be expensive and we know that to send employees to training centres adds even more cost. This is why we created the Toolbox Training Van. We bring the training to you. 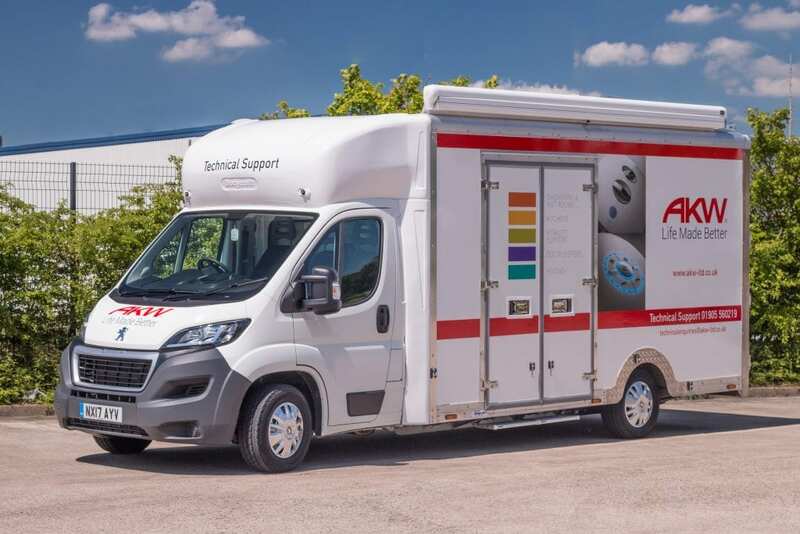 The AKW training van is designed to assist installers by providing a hands-on, practical demonstration of how best to install, commission and maintain some of AKWs most popular products. 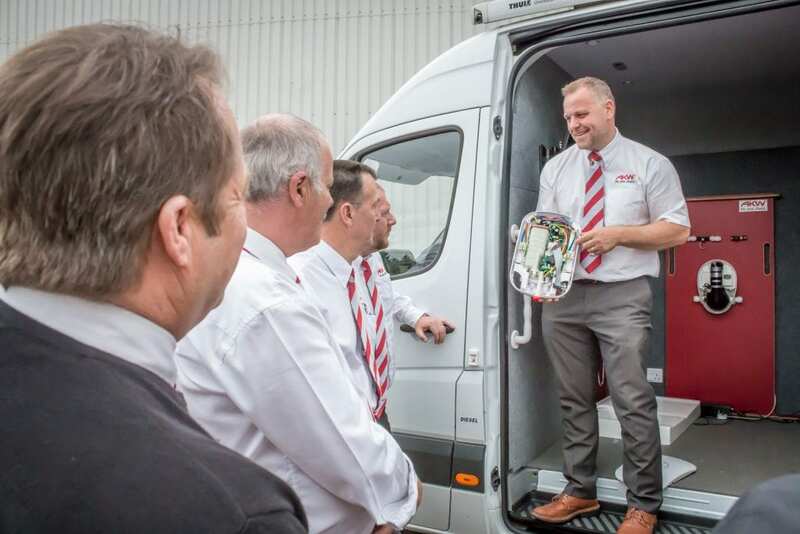 The products within the van were chosen using the most common questions that the AKW Technical Team receive, allowing us to show how they should be fitted and set up correctly. Delivered by Paul Baird, who has been a Surveyor and Maintenance Engineer for AKW for several years, attendees will be able to learn from his experience as he discusses and demonstrates best practice for installing AKW products allowing installers to avoid issues that can be caused by poor installation. All attendees will also receive a certificate of attendance as a record of their training. AKW Toolbox training van visits are available free of charge. How long do training visits last? A typical training session will last between 1 and 1½ hours, depending on the number of attendees and how many questions you may have. How many people can attend each training session? The AKW training van can accommodate 8 attendees, however if the weather is good then space around the van can also be utilised. We can present the training from within your premises in which case up to 20 people can attend. We are happy to do more than one session in a day if you have a large group wanting to attend a session. Who should attend AKW training? The toolbox training van is perfect for anyone involved in the design and installation of adapted bathrooms and kitchens incorporating AKW’s products. What AKW products are in the van? The AKW training can is currently equipped with working models of our iShowers range, digital waste pumps, a Tuff Form wet room former, and a Braddan shower tray with shower screen. What other training do AKW offer? We can also offer three Continuing Professional Development (CPD) courses. These are our ‘Designing Accessible Kitchens CPD’, ‘Level Access Showering CPD’, and ‘Dementia Friendly Bathroom CPD’. To find out more and to book, see our CPD presentations page.